I am from Italy and was lucky enough to be born in a winter resort so spent my youth skiing every day for 5 months since I become an instructor and fulfilled my absolute dream. 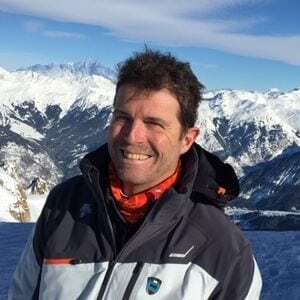 After many years teaching at home I moved to Courchevel in 2006 and helped New Generation in shaping the ski school as a Resort Manager, whilst still teaching very much building a great portfolio of clients who are coming back year after year to ski together. Since 2017-18 season I’ve been responsible for the Ski Concierge Service where the instructors spend half a day or a full day with a client or a family deciding together how to spend the holiday in resort, a tailored service to the client need that is becoming more and more popular in a few of our first-class resorts. The most important thing when skiing is remembering you are on holiday! Fancy a private lesson with Andrea on your next holiday?